Ask for the Folex Toolbox - which is the perfect instrument for handling our coating plates. Blade is equipped with a protective cover. 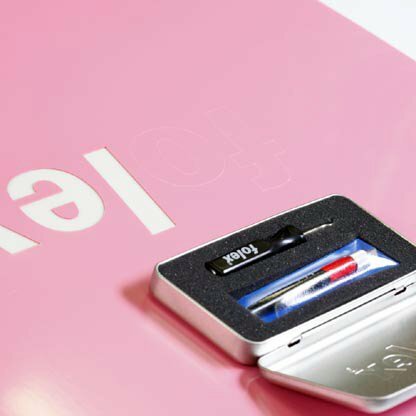 The Folex Toolbox contains a cutting and a lifting tool for the further processing of Folacoat varnishing plates.